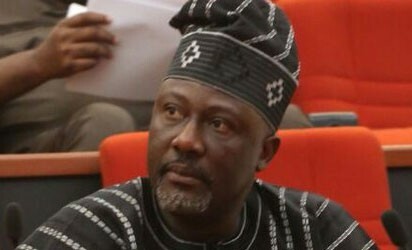 LOKOJA—There was uproar in Kogi State Peoples Democratic Party, PDP, collation centre yesterday, as the Senate leadership was accused of moves to influence the electoral panel sent from PDP national headquarters to manipulate the results from Kogi West Senatorial district in favour of Senator Dino Melaye. Recall that PDP held its ward congresses to pick three ad hoc delegates on Saturday. Reports from the collation centre have it that the entries of returned delegates for Kogi Central and East were going on smoothly, with that of Kogi West having challenges due to the interference of the Senate leadership to favour Dino Melaye. Melaye, party sources disclosed, did not show up for the ward congress, but the Senate leadership was alleged to have directed the panel to help include some names in favour of the Kogi West Senator. Chairman of the panel, who is from Kwara State, was said to be making efforts to include the names of the Senators who were not present at the congresses. However, party officials have vowed to resist the moves, saying impunity will not be allowed.